Intelligent Invoice - Global TaNK Co., Ltd. Powerful support in managing your communication expenses! 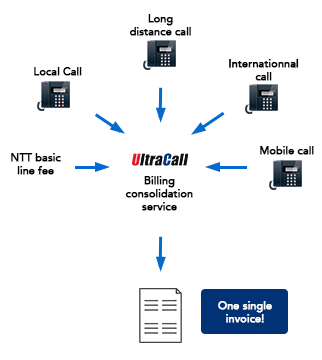 With UltraCall intelligent invoices, we prepare call itemizations tailored to your company, making it much easier to manage communication expenses in accounting or analysis. No longer relying on internal call accounting systems. Managing and processing your communication expenses may be more complex than ever, and for most people, it's a hassle. A wider array of telecom services and carriers involved, these expenses may include domestic and international calls from your office, calls from mobile phones, and so on. Have you ever wanted to simplify accounting through? 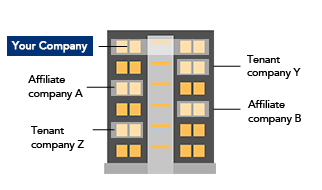 Even where various type of lines are shared among several business units, our proprietary technology enables calls to be grouped on your invoices and identified by business unit (division, section, or individual). This gives you a greater level of control over your communications expenses. Instead of receiving bills from multiple carriers, enjoy the convenience of a single bill with all charges: domestic and international calls and faxes at your office and more.Consolidating charges on a single bill can simplify your accounting significantly. Be assured that there are no extra consulting, sign-up, or monthly fees whatsoever for intelligent invoices. It's also convenient to be able to download call records as CSV files and PDFs, which enables you to reuse or archive the data. 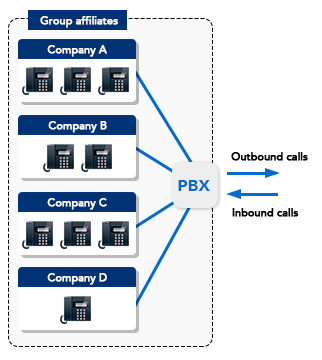 *1 Requires that DID (Direct-inward-dialing) numbers be set up for caller ID. *2 Consolidated billing is available if you are using our services. 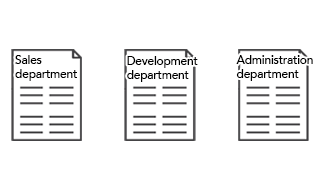 *3 A separate application is required for downloading call records.